I seldom ride this bike. It's one of the last made in USA...my '99 GT Zaskar (built May 1998). Last edited by Grey goat; 03-09-19 at 02:26 PM. Not mine, but some of the rarest on the planet, Jim Merz. 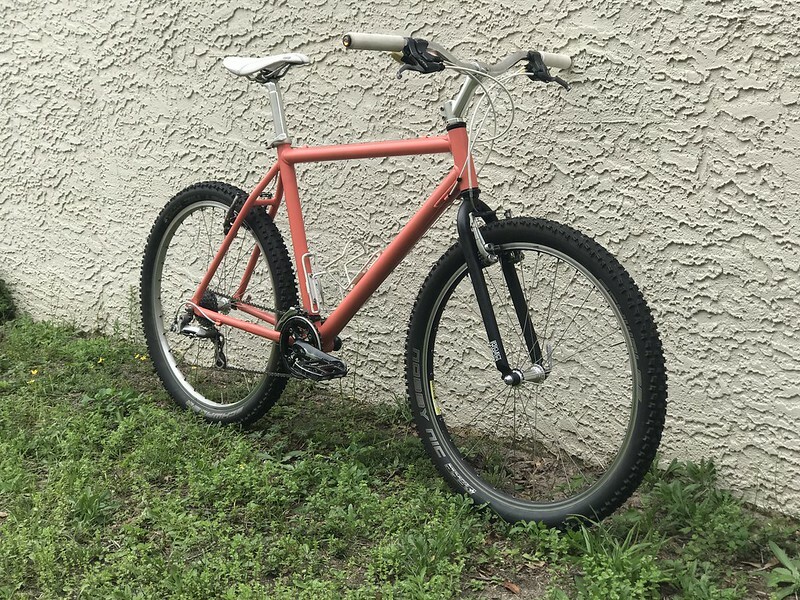 Finished my 1991 Scott Pro Racing and rebuilt the Panasonic MC Pro (also a 1991 bike - the year I bought my very first mountainbike). Finally finished! I almost gave up on this project so many times, but I think in this case two (and many more!) wrongs made a right. 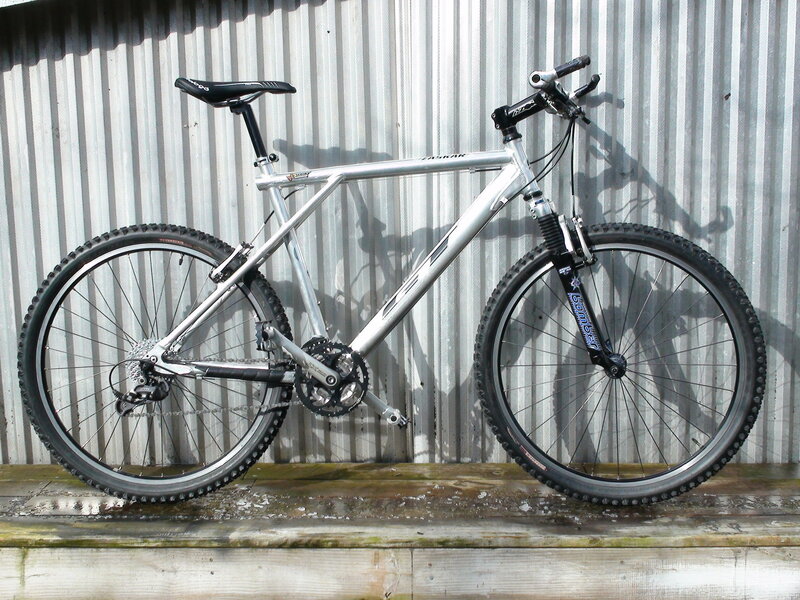 Built with a mix of Deore XT, LX, and some fun prototype versions of XTR M950 I got from a member here a while back. It's rowdy! That looks amazing. Glad that you stuck with it! How much would you estimate that you sunk into the project? 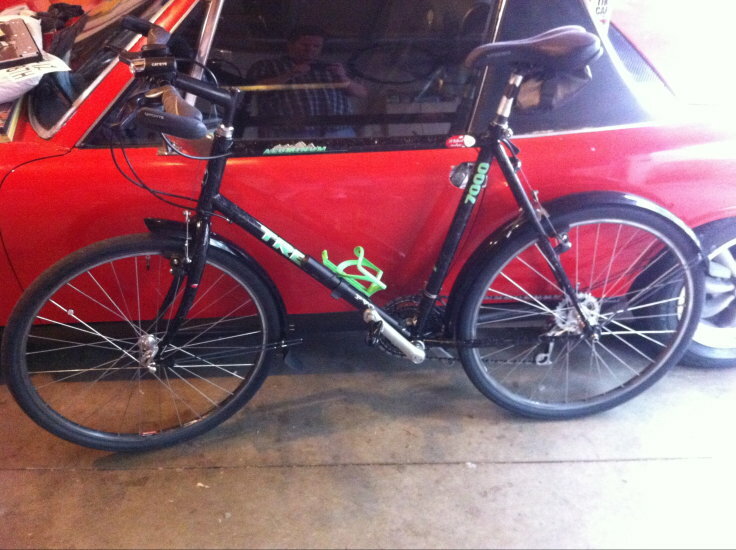 Here is the "Before" picture of my Bianchi Ibex I picked up this weekend. I suspect it is a 1992, but am not sure. Thanks! 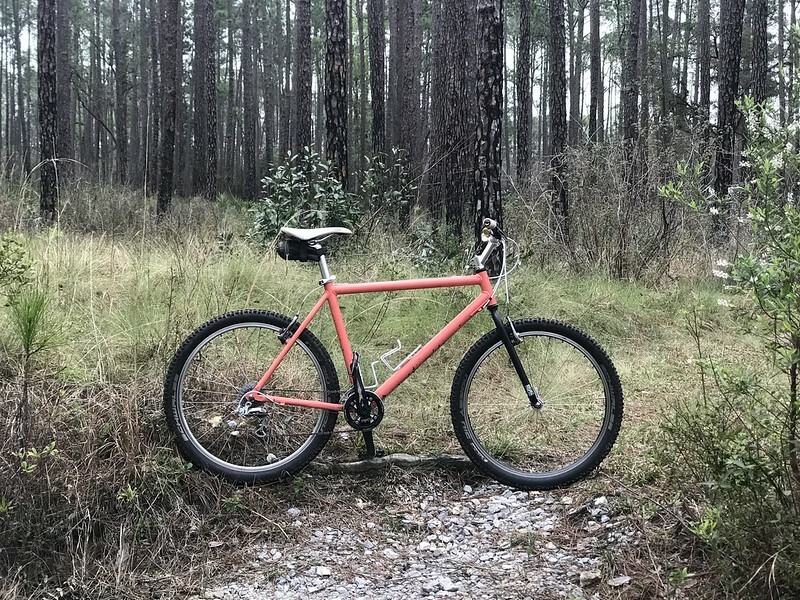 I'll see if it was really worth it in a couple weeks - taking it down to Santos in Ocala for some real trails. Hard to say how much the investment came to with the several false starts. I've had most of the parts for a while, too. 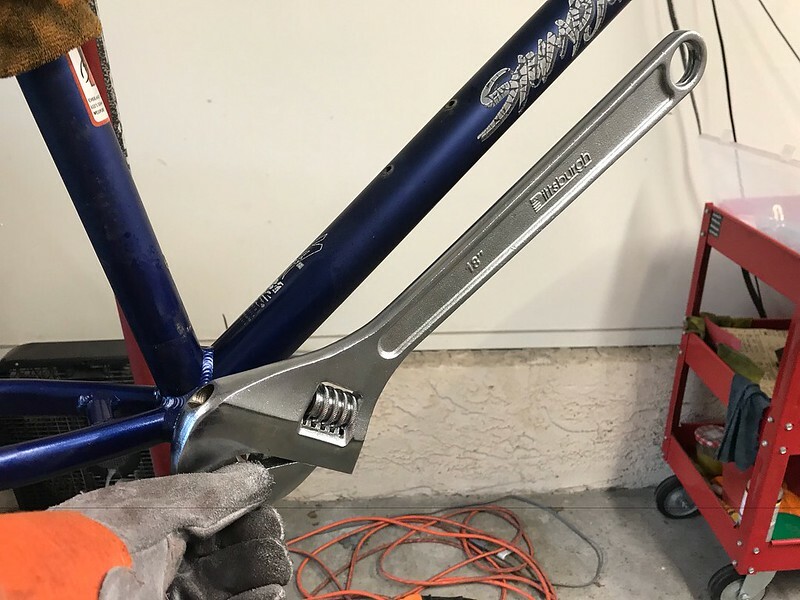 The inspiration to get it done was finding the Project Two fork on eBay for cheap, someone was offloading a stash of used forks from a fleet of rental bikes. I find, sometimes, it's best not to keep track of how much everything cost. What fork did you use? and/or do you know the AtoC measure? edit: oh. I see Project two. But AtoC? I have a 97 M2 frame with a bad Manitou also. Last edited by Classtime; 03-13-19 at 08:53 AM. I have the 412mm one, I think there are a few different versions. Rebuilt and put back together. This thing is in great shape, and has seen little use. 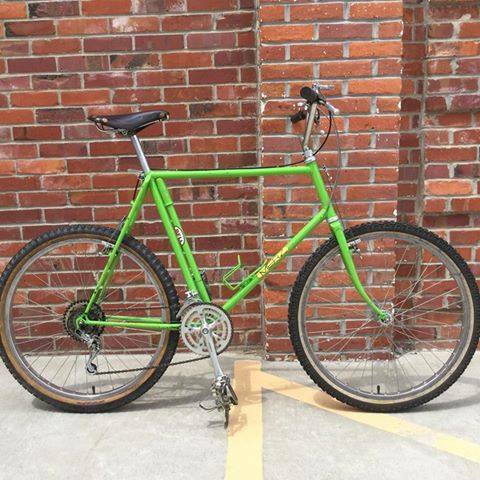 All original, except for the saddle, chain, and tires. Nice TREK. What size is that? And what is your saddle height. 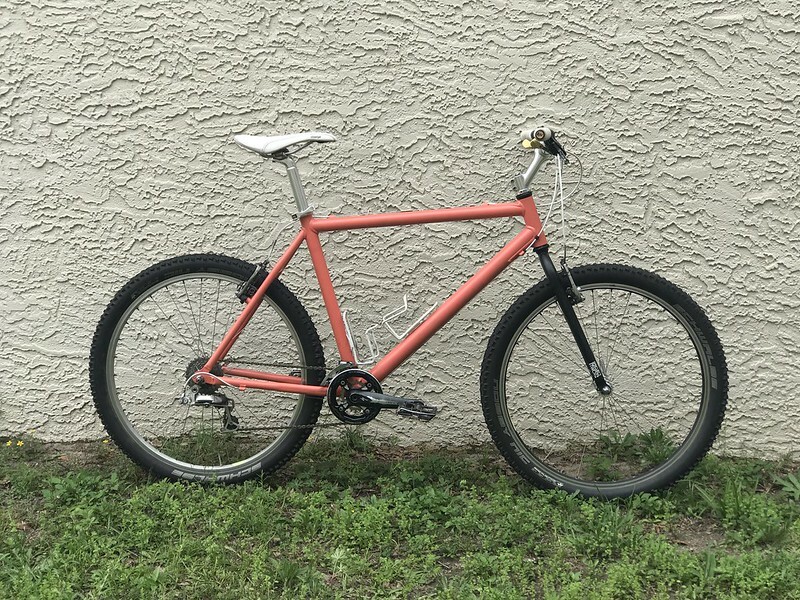 I'm looking for one that fits me and have no idea about MTB sizes. Thank you. 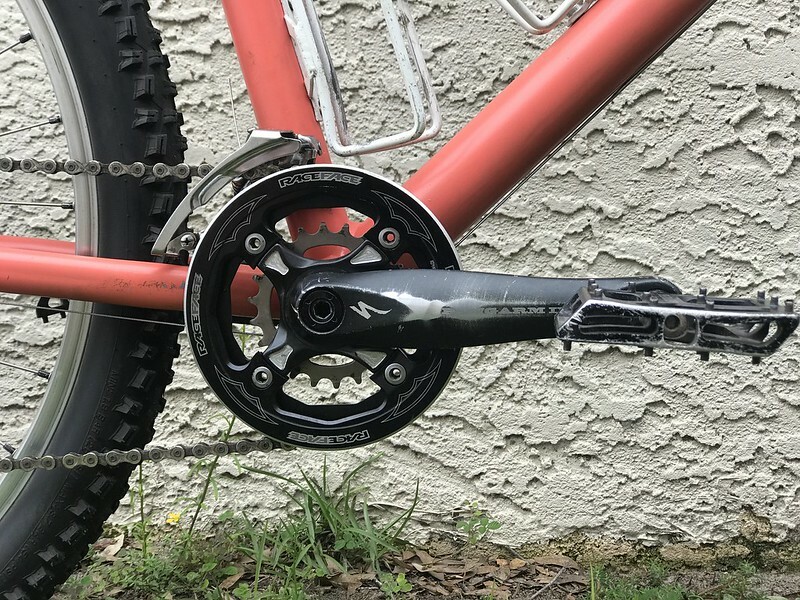 I don't know much about mountain bike sizes either, but from the center of the bottom bracket to the top of the seat tube, it measures 20inches. 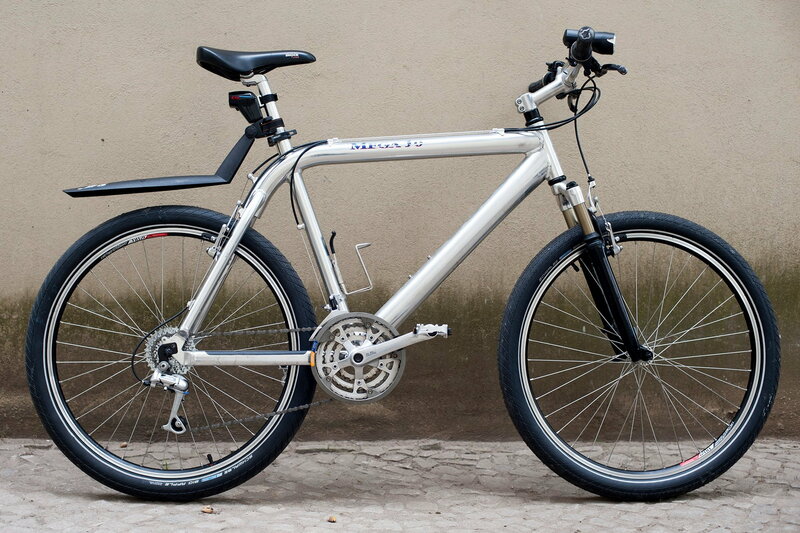 The saddle height is a from the top of seat tube to the too of the saddle is approximately 8.5inches. 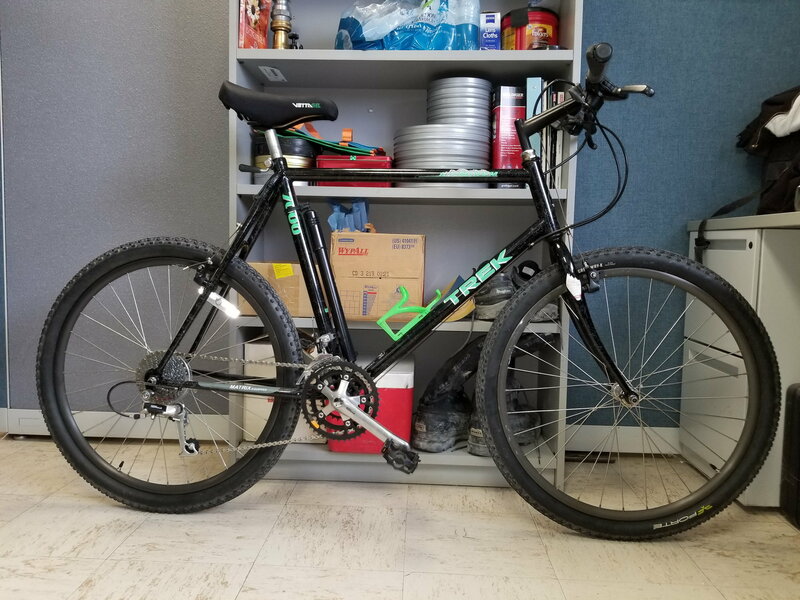 Trek usually measure from C to top of the seat tube. And they run about 16" for a small to 22" for a large. Last edited by curbtender; 03-17-19 at 06:22 PM. 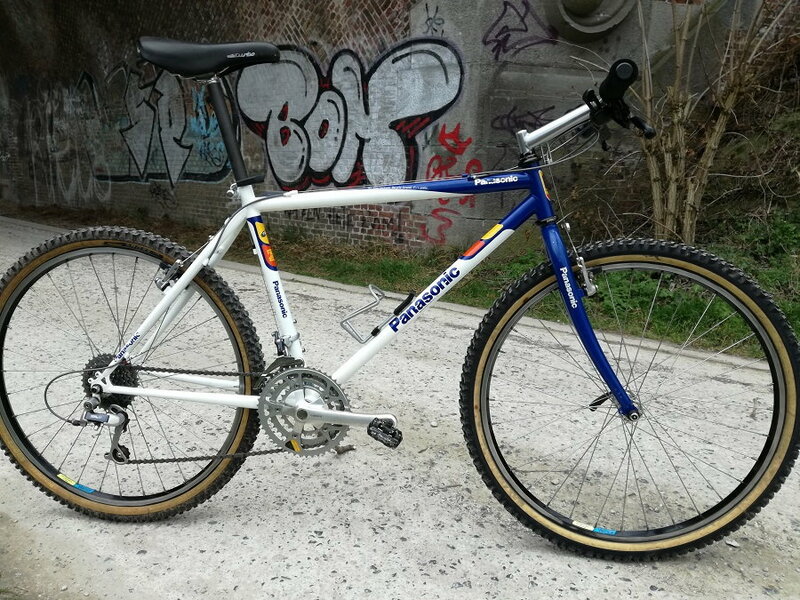 I was recently gifted this beautiful Colnago Decor MTB from the brief period in the 90s when Colnago dabbled in mountain bikes. 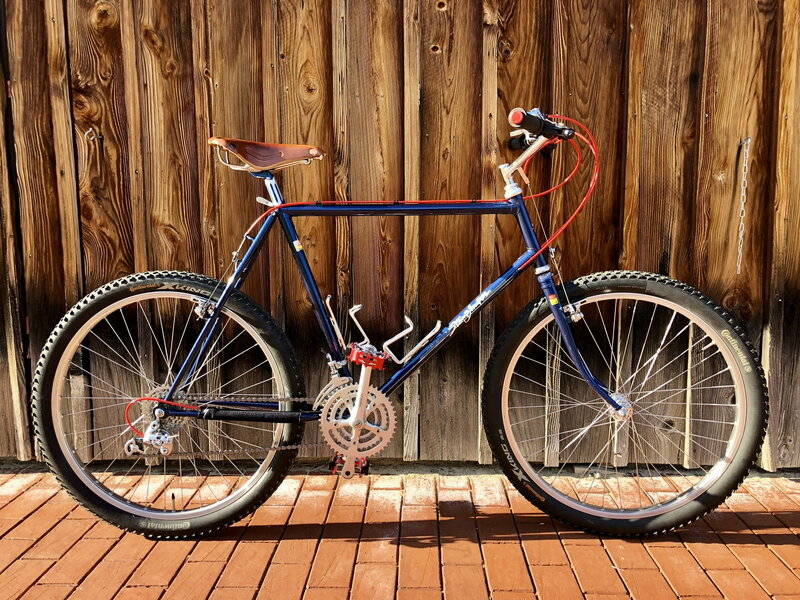 The bike was originally outfitted with Campy MTB components, also only on the market for a brief period. 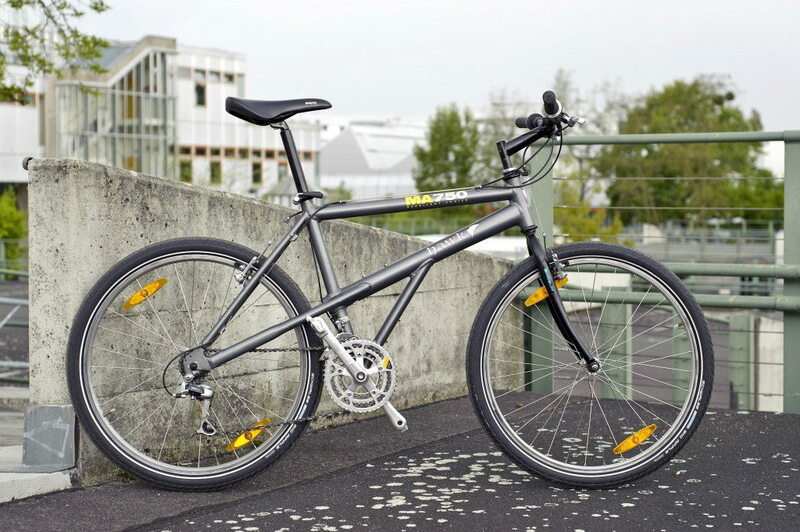 Anyway, to the story about the bike and how it came into my possession. 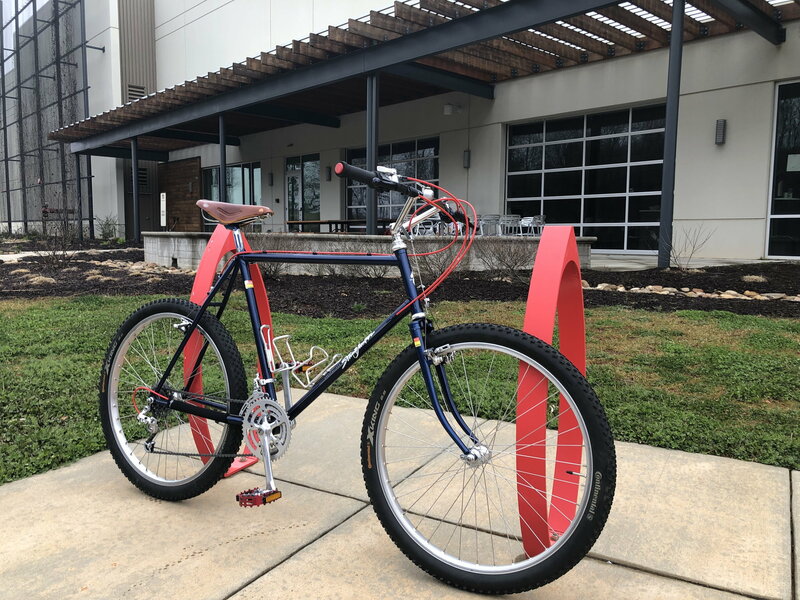 12 or 13 years ago, an elderly gentleman kept showing up at my shop, and every time I saw him, he would be riding a different bike.When I asked how many bikes he had, he couldn't tell me for sure, but he thought around 9 or 10. 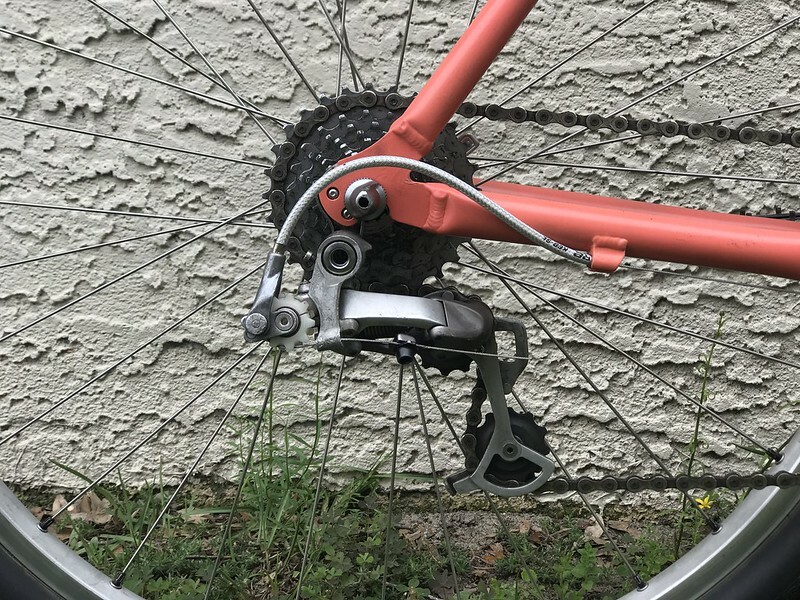 At the time, I was doing a lot of IGH conversions, (my Shimano rep told me more than anyone in the country) and the gentleman was interested in trying one out. I installed a Shimano Alfine hub in one of his bikes, and he loved so much, he had me convert 3 more. This Colnago was one of them. 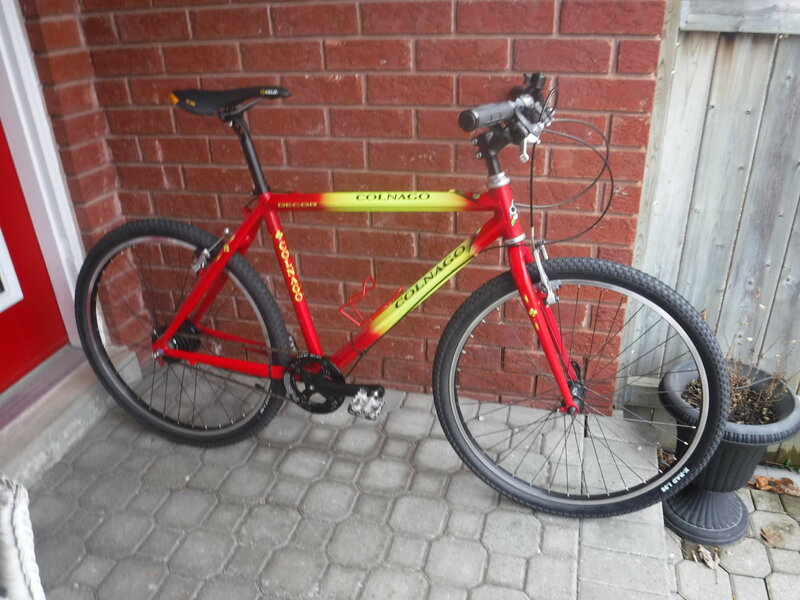 We struck up a friendship, he even worked for me part time, and he continued riding, but as his health declined, he rode less and less, and divested himself of the bulk of his bike collection. Fast forward to a couple of months ago, my friend is now 83 years old, and has faced the sad reality that his declining health means his riding days are over. 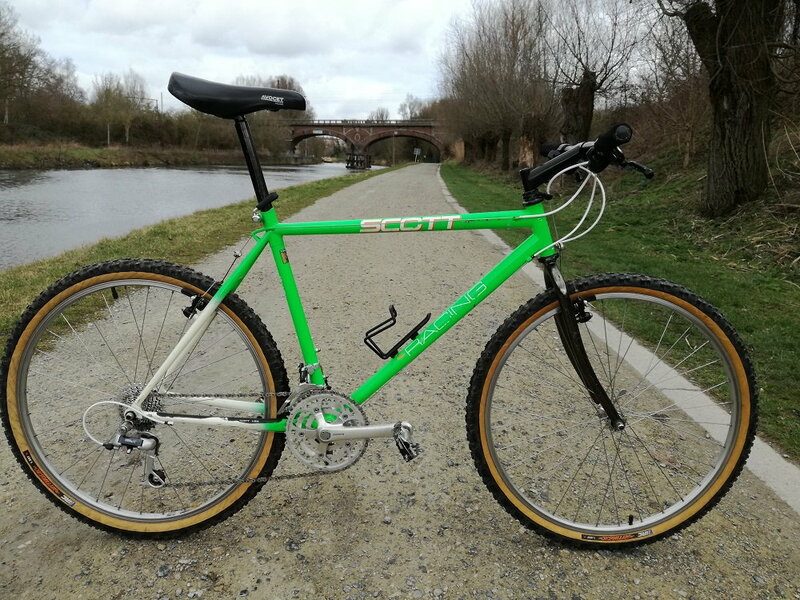 He was down to his last two bikes, which were his favorites, the Colnago, and a Rocky Mountain Metro, which I had also fitted with an Alfine hub. 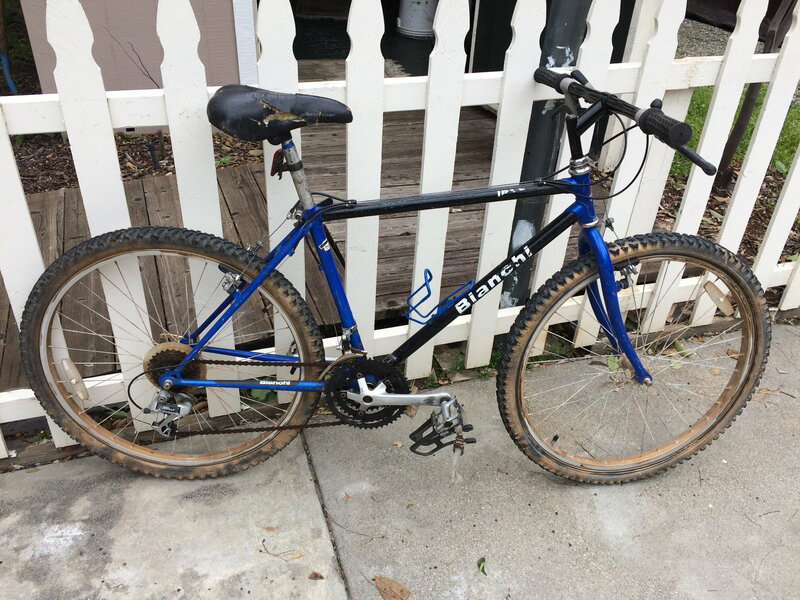 His fondest wish was that these two bikes go to a good home, and he wanted me to have them. 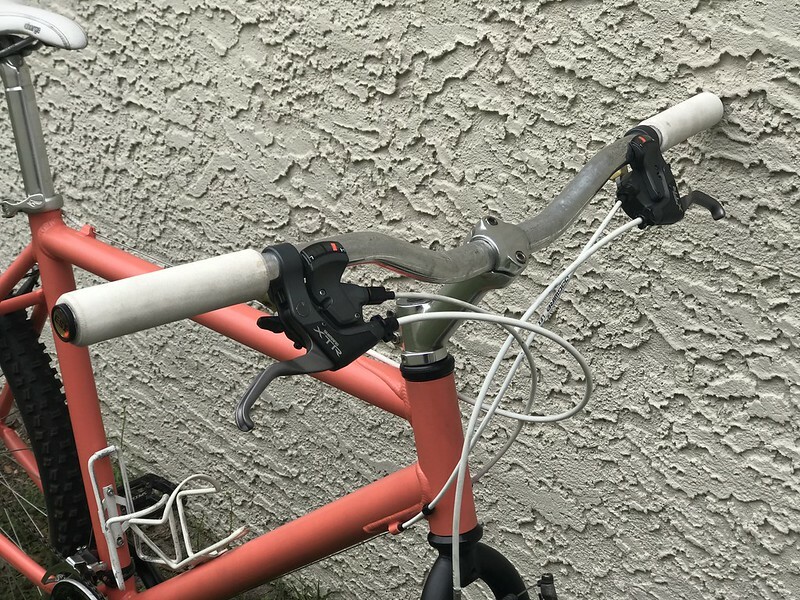 I was blown away to say the least, and while the frames are quite small for me, I am able to ride them comfortably with extended stem and seatpost, and to honor his wishes, they will stay in my stable forever. Sadly, my friend has passed away, but I will think of him whenever I ride, or work on this bike. 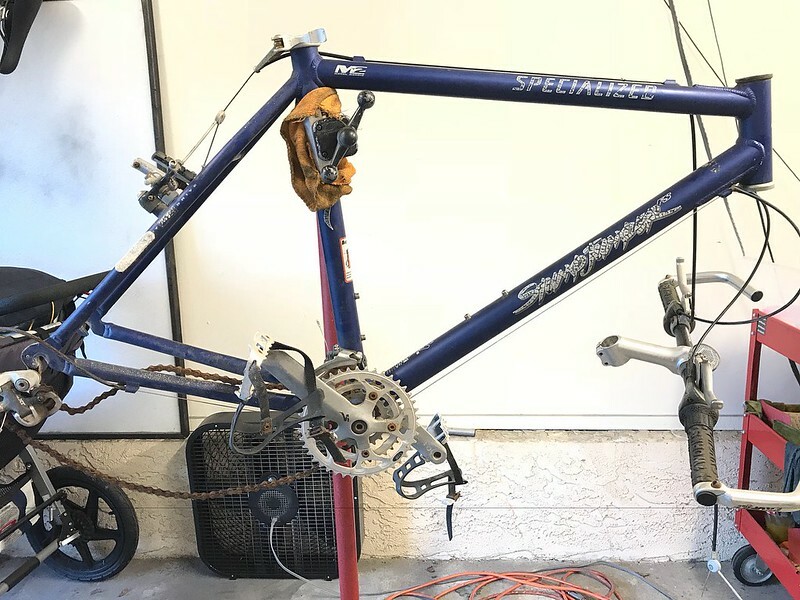 He left me a box of parts that I though may have contained the original Campy MTB group set, but unfortunately, those are long gone. So, I'm going to leave the IGH in it, but I swapped in a few other parts I had laying around to try to balance the trim colours a bit, and to make it a little more rideable. 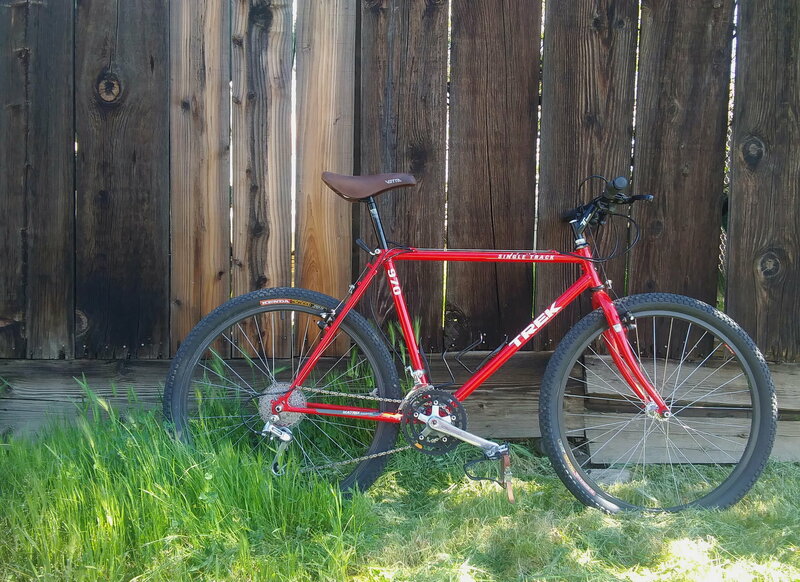 Took it out for a little jaunt this afternoon, and it actually rides quite nice. 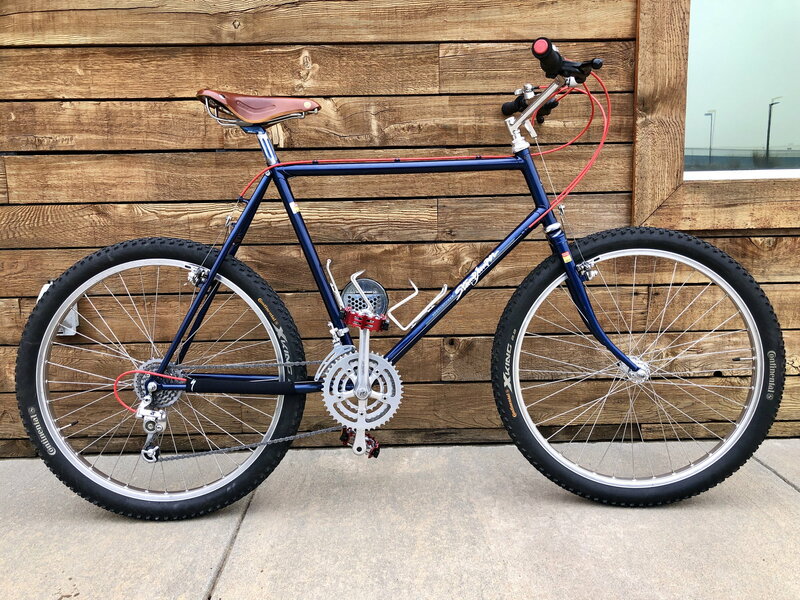 Much better than it did with the handlebar jacked way up, and that huge saddle that was on it. By changing the chain ring, I lucked into a magic ratio that enabled me to eliminate the tensioner. I must be the luckey one, because I have 3 IGH bikes with vertical dropouts that I'm able to run without tensioners. So sorry about your friend. At least his legacy will live on in the bike. 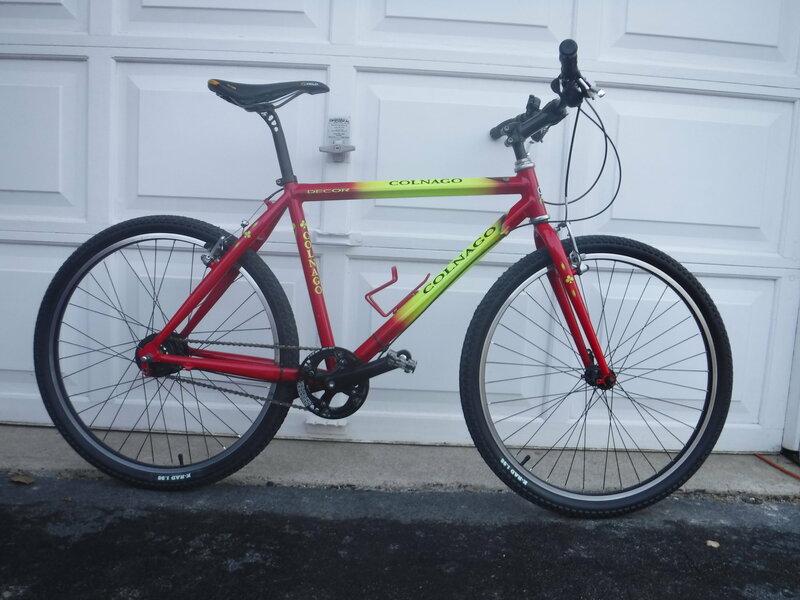 Nice 7000, I have one that i got in 1990. its been a great bike. heres a pic when it was pulling commuting duties. Yours looks like a 1990 model instead of a 1991. the 1991 had a green splatter paint on it the 1990 had white. Nice ride! I see how I could make that mistake. I had mybeye on a 91 1000 and a 92 1200 roadbikes. But one sold before I could get it and the other was too short. I have a Hawk MA750 ECS from original 1st owner (who owed me money). 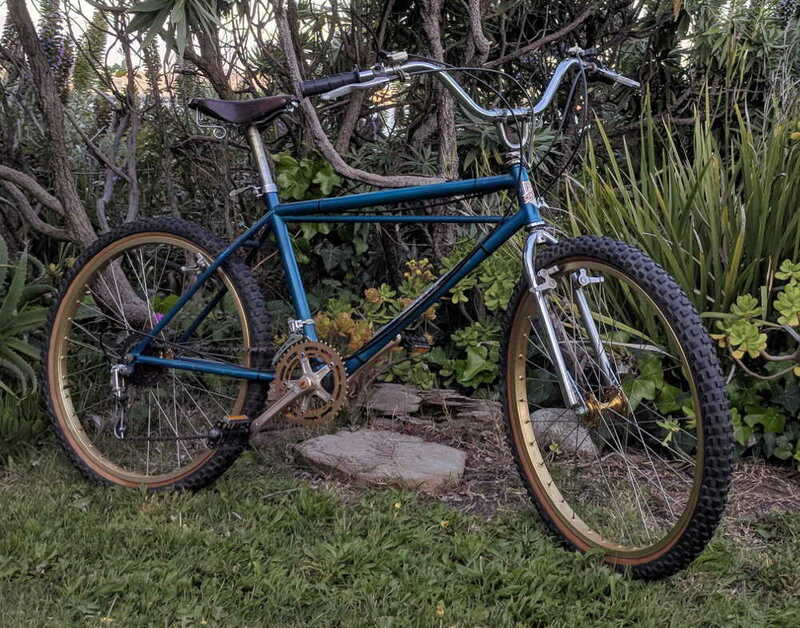 was a bit abused (rotten threads in the aluminium, converted to suspended fork, wrong stem/bar etc), but I managed to almost put it back to original condition. 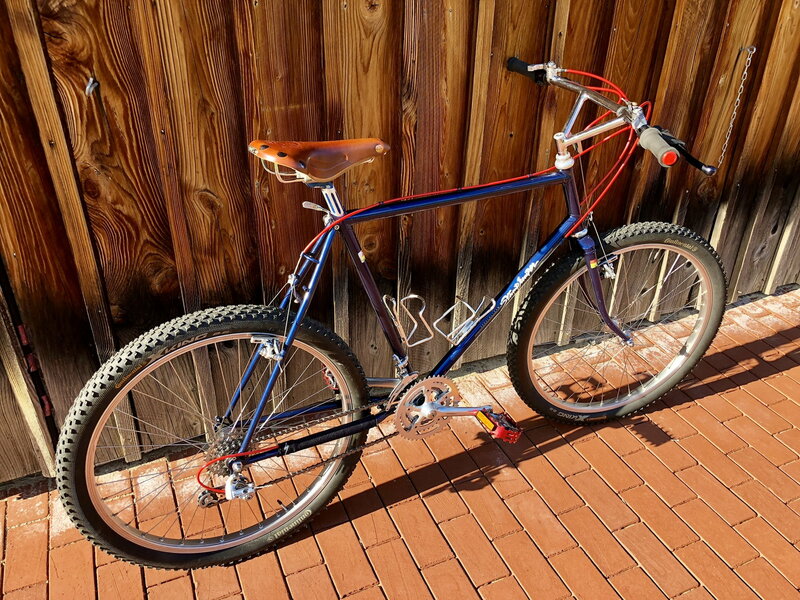 It sure would deserve skinwall tyres... it's stiff tu hurting, but I meanwhile like to ride it! Complete DX Groupset. Do you like? 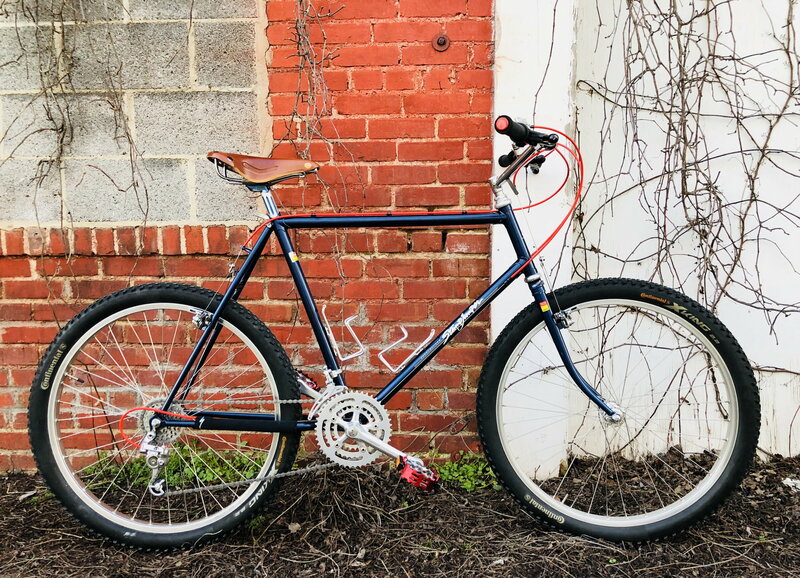 Are there any Hawk bikes in US? Search didn't have any result. my Hawk MA750. 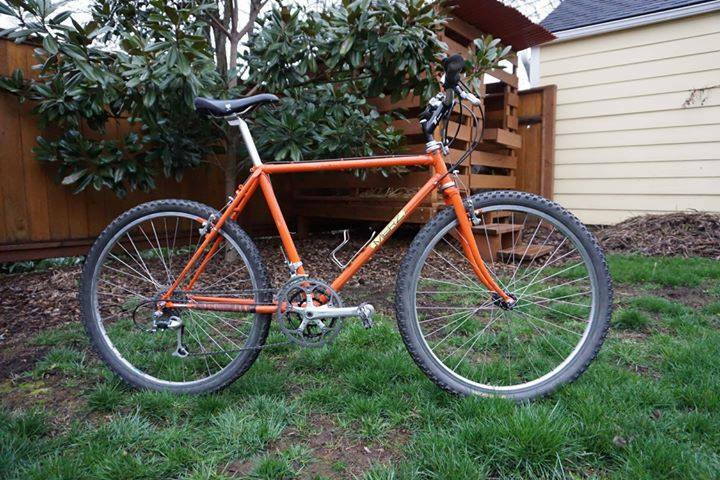 Bought from first owner in poor condition, Fixed and brought back almost like original. Last edited by Catfart; 03-28-19 at 05:06 AM. 2 years ago this Grisley Mega10 Aluminium came to my basement. I set it up for a syrian student who wanted to have a ride that not everybody else has. Grisley's are not too often seen in Berlin.